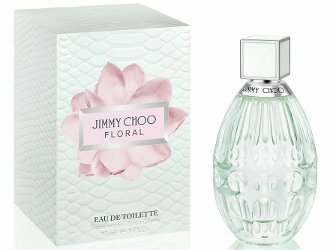 Jimmy Choo has launched Jimmy Choo Floral, a new fragrance for women. The new Jimmy Choo Floral Eau de Toilette is a blooming and ultra-feminine fragrance. This refined and radiant scent represent [sic] the beauty, confidence, and energy in every woman. The Floral woman is graceful and elegant with a dynamic allure. Jimmy Choo Floral is available now at Dillards, in 40 and 90 ml Eau de Toilette. The color of the box and bottle is so pretty, like watercolor paint. Reminds me of spring. I dislike the shape of the bottle though, I think it looks like it’s deflating. It is pretty…reminds me of that Chloe L’Eau thing I liked that they axed.